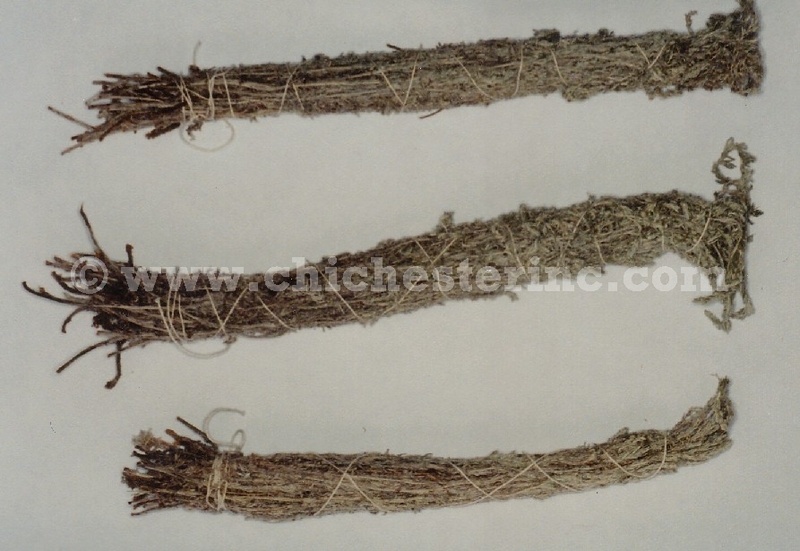 The Iroquois blue sage bundles are 8 - 9" (20 - 23 cm) long. This sage is also called Sagebrush, Big Sagebrush, Common Sagebrush, Blue Sagebrush, or Black Sagebrush. An unpackaged sage bundle weighs approximately 52 grams. Sage is also a natural bug repellant, e.g. for mosquitoes and ladybugs. Add sage to your campfire or fire pit to keep mosquitoes and bugs away. Genus and species: Artemisia tridentata. Wild. This sage is not an endangered species.